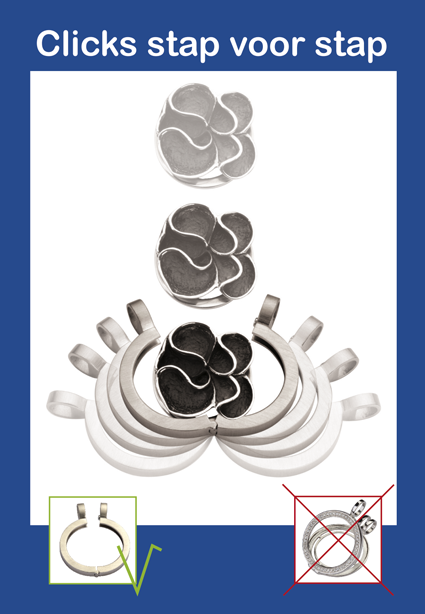 CLICKS are special disks which contain of two parts, the holder of stainless steel and and creative top of 925 silver. The designs of CLICK go beyond the pendant: there are no limits to design, let’s be creative! The CLICKS are specially designed for the click pendant QHO-07 of QUOINS. CLICKS van QUOINS: there are no limits to designs, let's be creative!